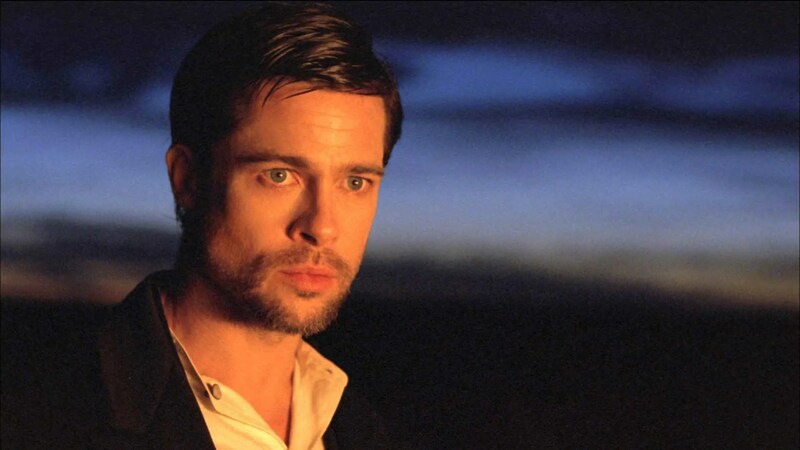 There aren’t many roles that feel so tailor made for Brad Pitt than that of outlaw Jesse James. From the moment the actor is on-screen he both owns the role and the movie, managing to be the most interesting character whenever he occupies the frame. This is down to many things but most of all it is the intensity with which Pitt plays the role. Jesse James was a character who caught the imagination of the Old West and the rest of America and if he was anything like the terrifying man Pitt plays on-screen, you can see why. Jesse James is a character you hate to love. He is an outlaw, he robs trains and has plenty of murders to his name but Pitt makes him so charismatic. He creates a character who will smile and put you at ease one minute but then quickly and furiously pull a knife on you the next. It is also a role where a wordless scene can have as much impact as one with heavy dialogue and Pitt manages to say so much without uttering a word. It is no wonder that Casey Affleck’s Robert Ford wanted to emulate the outlaw so much. The movie is really the tale of Robert Ford and how his obsession turned him against his idol. He spends the first half of the movie trying to become best friends with James, even going as far as practically moving-in. This also makes for the slowest half of the film. This isn’t down to Casey Affleck, he plays the role in a nervous, creepy and unpredictable way. It was always going to be a challenge to try to match Pitt for performance but Affleck does a commendable job and some of the best scenes are the double-headers between the two titular characters. Knowing there is a key event that the title spoils means that each scene is a tense, almost cat-and-mouse affair, not sure when the deed will take place. This is part of the reason the first half feels so slow. The robbery in the first act of the movie sets a tone that the next hour doesn’t match. It is a movie of different relationships, tense dialogue and exchanges and quite brief shoot-outs which don’t come frequently enough for a movie about a famous killer. A whole sub-plot involving two of James’ crew, played by Jeremy Renner and Paul Schneider, raises some interest and has some impact on the wider events of the film, but doesn’t help to push the pace of a movie which is over two and half hours long. Luckily, the last hour makes up for this. Once events begin to fit into place and the promise of the title begins to come to fruition, you can’t help but become engaged in the tense nature of the movie. This is when the lack of large set-pieces pays off as Pitt and Affleck slowly move their pieces into place and the events which unfold come shockingly, even though they are forewarned by the title. The event in the title isn’t the end of the film and as already mentioned, this is the story of Robert Ford. Some may find the events which follow the death of James much more interesting, as we see why Ford received the title of coward and the impact that being the killer of an icon can have on a man’s life and reputation. 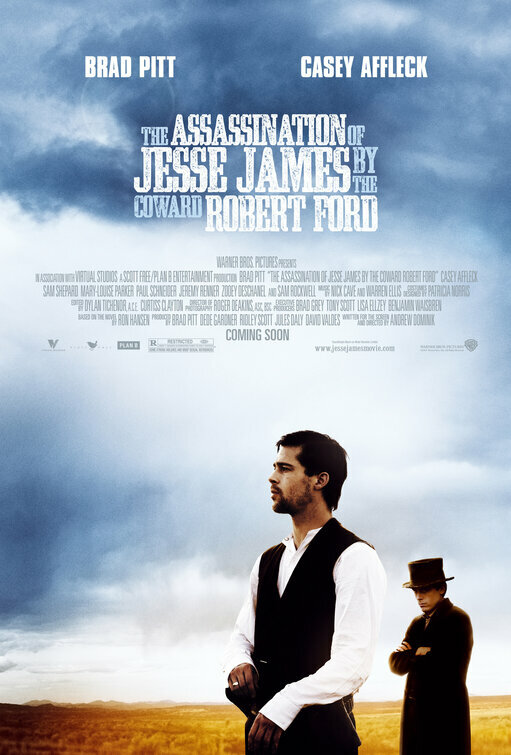 Overall, The Assassination of Jesse James by the Coward Robert Ford doesn’t just win an award for longest, most spoiler-filled title but also holds one of Brad Pitt’s best performances. He brings an intense, frightening quality to the lead character. This is only matched by Casey Affleck, who plays Robert Ford in just an engaging way. Both these performances mean you will manage to sit through the slower hour to get to the gripping final act. I totally agree with you I really like Brad Pitt in these movies.